In Bentley’s 97-year history, no model has ever been offered with a tow bar, but the company’s 1st-ever SUV marks another premiere. The iconic Crewe auto maker exhibited the very 1st tow bar option for one of its models, the Bentayga, at the Bentley’s Pebble Beach Signature Party held Saturday night. 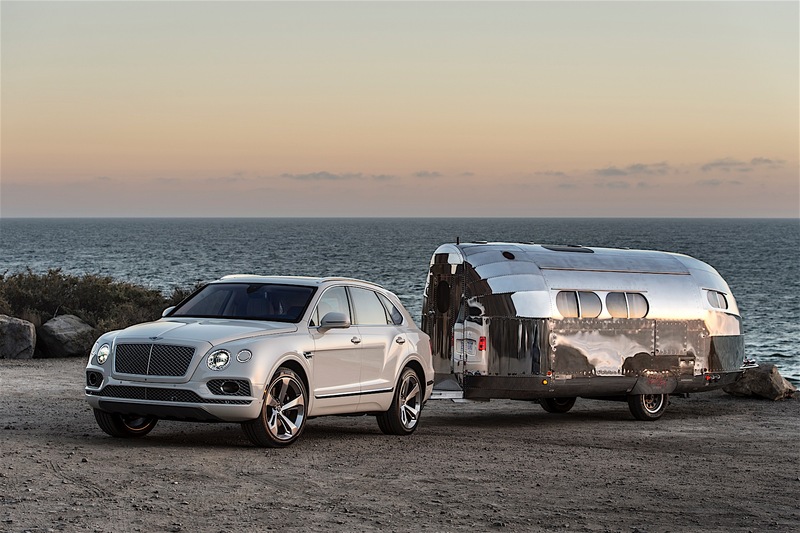 Bentley’s exhibit during the Monterey Car Week is not composed of just the Bentayga and its new towing accessory. It also brought along the Continental GT Speed Black Edition, the most powerful production Bentley ever made. This model can attain a top speed of 206 mph. The 3rd Bentley presence at this event is the most luxurious model ever built Bentley, the Mulsanne Extended Wheelbase. This version of the Mulsanne marks its US debut. As Bentley explains, the Extended Wheelbase version of the Mulsanne, it is designed for those that prefer to be driven, but want to experience the level of comfort found in 1st-class air travel. The 4th and final item on Bentley’s list for the Monterey Car Week, and the Pebble Beach Concours D’Elegance, is the Flying Spur V8 S, which also marks its American debut.